You may be wondering what our advice to students is regarding homework in the upcoming break. Students across Years 7-11 have been advised to have a rest and spend time with family and friends so that they return to school next term refreshed and ready to tackle what will be a very fast-paced term. However, we also advise the girls to read ahead and to also review their work from Term 1 to ensure that it is well organised for the rest of the year. This is of particular importance in Year 11, as students are required to work more independently and will need to return to school in Term 2 feeling prepared and in control of their learning. Organise your works spaces – day girls, your study areas at home; boarders, come back with your study folders organised so you feel in control of your rooms in the boarding school. We wish you and your families all the best for the Easter season. Last week Dr Prue Salter from Enhanced Learning Educational Services ELES conducted an interactive study skills evening with Year 7 parents and students. The evening helped families assess what changes could be made to help students work towards achieving their personal best in an efficient and effective way. Students examined their home study environment, the way they organise and manage their resources, how to work effectively at home and deal with distractions, how to manage the workload in high school, and the steps to studying in high school: making study notes, learning the notes by testing themselves and practising as much as possible. Parents are encouraged to review the handout from the session with students and discuss the main areas identified where changes need to be made. You have three weeks to download the slides to your computer. Parents can also find extra study skills tips here. 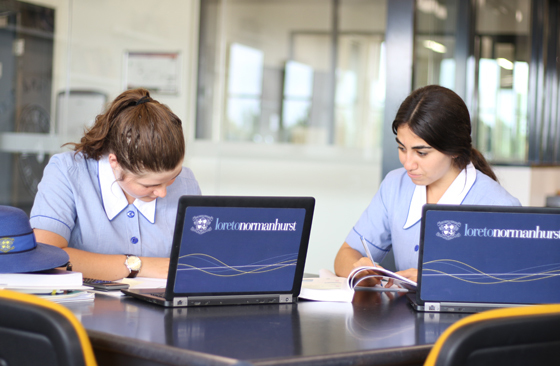 All secondary students at our school also have access to a great study skills website to help students develop their skills.